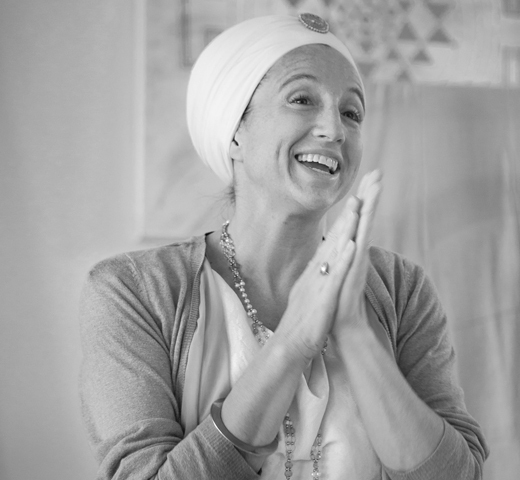 I just met the wonderful Kundalini Yoga teacher Panch Nishan Khalsa in the ashram where she lives with her family. 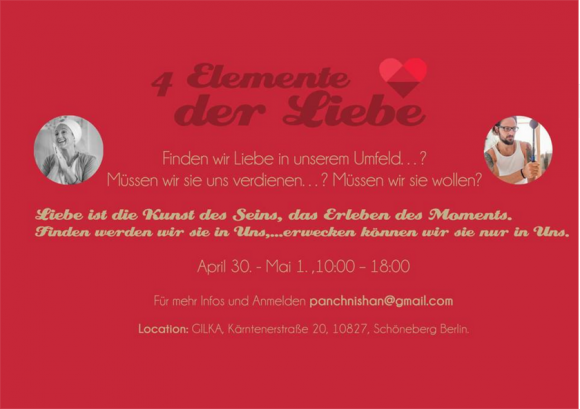 She invited me to a green smoothie and we talked about her new workshop 4 Elemente der Liebe (4 elements of love) that she hosts together with the gong player and kundalini yoga teacher Kosta Wemuth from Hannover. The weekend workshop took part already in his city and will now come to Berlin. I am very excited about 4 Elemente der Liebe and want to recommend it from my heart. Hope to see you there! When we get still enough we can be in the frequency of love. That’s why children are such amazing role models – because they are so much in the moment. They are just pure love, they don’t know what yesterday was. Love is in the moment. The sun coming up every day for us is love. What inspired you to do a workshop about love? Kosta gave the initial spark. He invited me to Hannover and asked me to do something on the heart and on the magic of life. How life unfolds magically, surrendering to the magic of life and compassion. So I was meditating on the heart and these four elements just became clear to me, they also reflect what I absorbed from my teacher, Yogi Bhajan’s teaching. He says that without trust there is no love. The four elements are forgiveness, trust, kindness, and compassion. I think it was divinely inspired. When we tune in to truth it is filled with universal wisdom. All wisdom whatever form it takes, however it is dressed, is a reflection of universal wisdom. A little bit of everything. 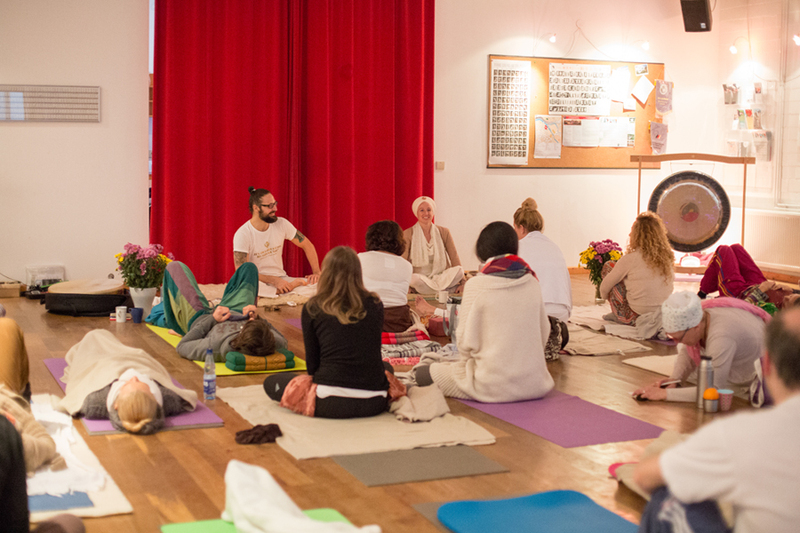 We did the workshop already in Hannover and there were tears, sweat… One of the kriyas is a rebirthing kriya. We go through the first 11 years of life and we have the possibility to clear the pains and scars that happened in these years. What blocks us or keeps us from experiencing the purity of love as we experienced it as children. There will be a renewal, a refreshing, a lightness going back to that innocence. Your soul is just in constant conversation with the infinite, that is love. We’ll do some dancing and there’ll be joy and laughter. There is a little bit of everything, from tears to laughter, deep transformation. 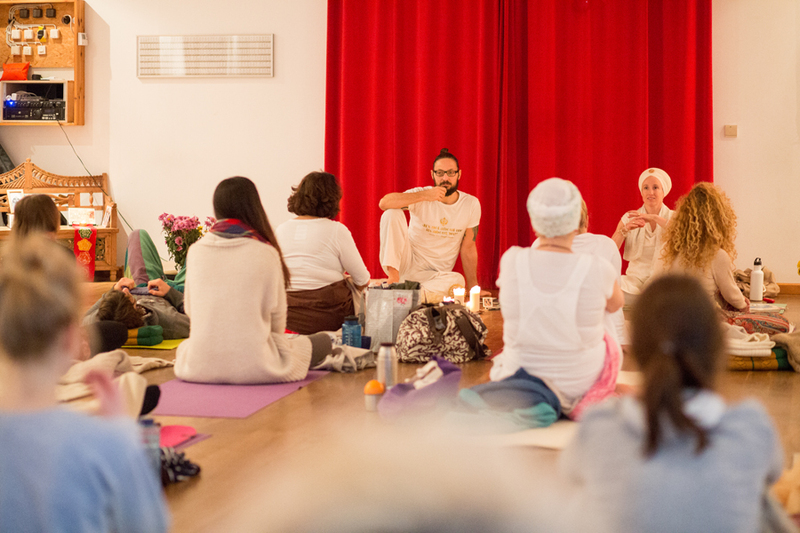 And we’ll have active yoga kriyas and gong, time to talk together, a couple of partner meditations. It’s definitely not a requirement to come with a partner but people who want to bring their partner are definitely invited. 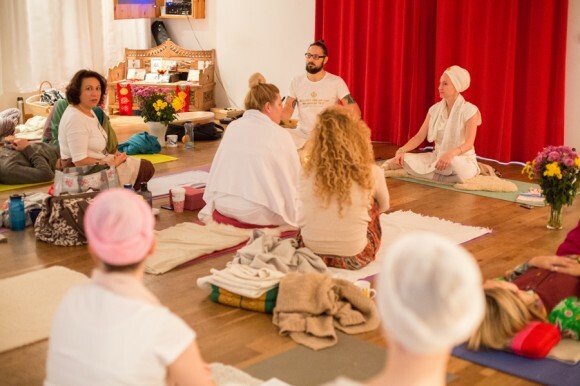 Is kundalini yoga experience a requirement? Not, not at all. Everybody who wants to come is welcome. Will there be very long kriyas or meditations? The rebirthing meditation, to create a new self concept, is definitely a little longer. However, as you know it’s not about the length of it but about the intensity. It’s not difficult physically, it’s more about the cleaning of the subconscious. The goal is clearing out the old so that there is more capacity to touch your inner love to awaken to the love that’s there.